When warm weather arrives, those who love water sports head toward the lake at their first opportunity. Lake Norfork's 30,700 acres (at its highest level) extend through three counties within and near the Mountain Home Area: Baxter and Fulton Counties in Arkansas and Ozark County in Missouri. 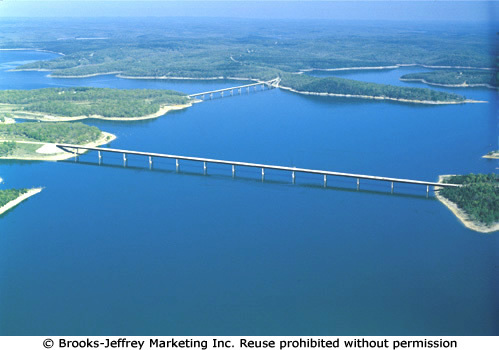 Bridges spanning Lake Norfork allow travelers on Highway 101 and Highway 412/62 to see a magnificent view of Lake Norfork. 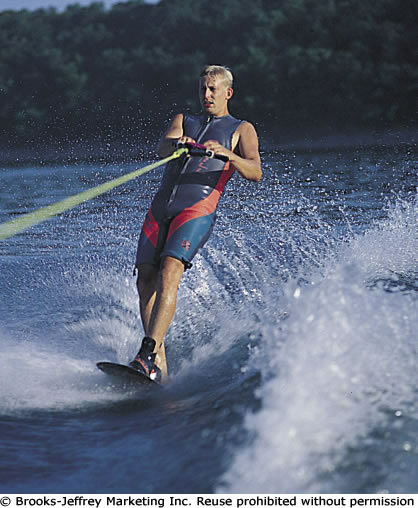 Lake Norfork is a playground for all action-packed water sports. 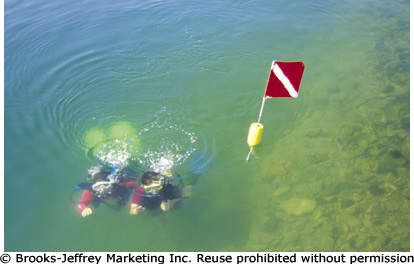 Although summer is the peak time for water sports, fishing and boating continue year 'round. A major recreation center, Lake Norfork supports over a dozen developed Corps of Engineers-managed parks. Many contain camping and picnic areas complete with tables, grills, pavilions, electricity, easy-access boat launching ramps, and nature trails. 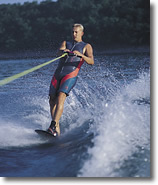 Marinas on Lake Norfork sell and rent supplies for all water sports including boating, water skiing, and scuba diving. Nearby resorts allow visitors to be "on the lake" in just minutes. Guided fishing trips can be booked through most resorts and marinas. While anglers can expect to catch almost any species of the bass family, walleye, crappie, and bream, Lake Norfork is best known for its lunker striped bass fishing. No closed fishing season, mild winters, and an annual stocking program foster year 'round fishing. The level of Lake Norfork is controlled through a massive concrete dam. Located near the small town of Norfork, the dam releases water into the river.